Our first Scottish office opened in 2005 and since then we’ve grown to become one of the most successful foster care providers in Scotland. We are proud to have great relationships with all local authorities in our surrounding area and work in partnership with them to provide the best possible placements for children and young people. We also have strong links within the local communities with a strong focus on providing local placements for local children. Drawing on our roots in health and social care as part of the wider Swiis Group, our teams are made up of experienced social workers, support workers and where required education and health advisers, and we are firmly committed to putting children at the heart of everything we do. We organise monthly support groups alongside monthly meetings in during the morning and evenings to ensure our carers have an opportunity to meet with staff and other carers for ongoing support. 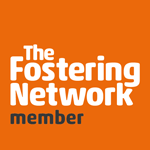 We also have our Children Who Foster group (CWF), a support and activity group for our foster carers’ own children ran by our experienced staff. This group meets regularly to talk about their experiences within the fostering family and allows the opportunity to share and discuss issues in a supportive environment.